No matter where you live in the state of Wisconsin your home is at risk for having high levels of radon gas. In fact, the Wisconsin Department of Health estimates that 1 in 10 homes in the state have levels above the EPA action level of 4.0pCi/L. Even if your home in Whitefish Bay is right on the lake, it can still have high levels. It is a misconception that if your home sits on sandy soil by a body of water that radon is not present. Every single home in Whitefish Bay is at risk, so it is important to at least have one proper radon test done to be aware of your present radon exposure. We have been in the radon mitigation and radon testing business for over 21 years and install thousands of radon systems a year, so you can trust that we will give you all the information you need to be comfortable installing a system in your beautiful Whitefish Bay home. We understand that every home is different and maintaining your home's aesthetics is important, so we custom build all of our radon systems to fit your needs. From small homes to mansions and commercial properties, we have helped fix them all. Give us a call for a free and fast estimate, or to set up a time for a free in-person quote! Radon gas comes from the decay of uranium in the soil. 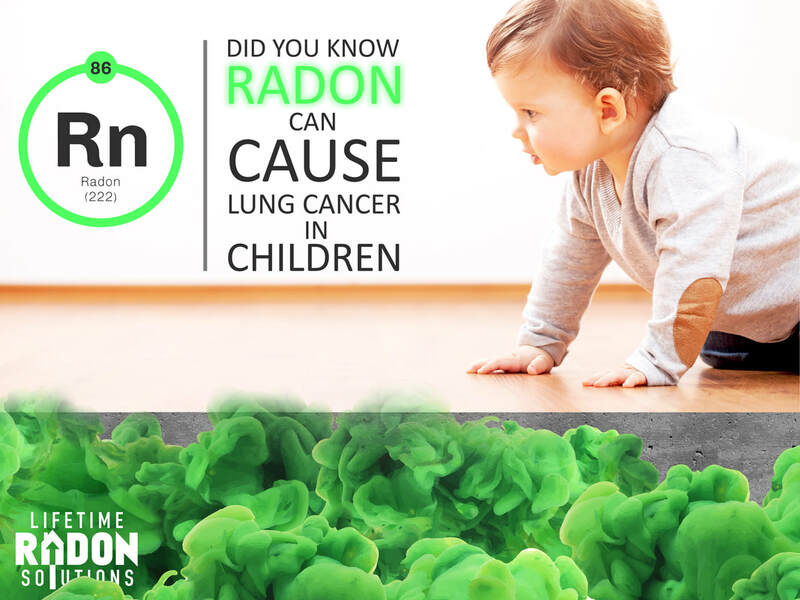 Usually when radon gas comes up from the soil, it simply dissipates in the air rendering it pretty harmless outside. However, when it comes up from underneath a home it gets trapped and starts to slowly seep in. Since homes in Whitefish Bay are so well sealed, once the gas gets in, it gets trapped and starts to build up, causing high levels. The scary part is, it is undetectable by humans without proper equipment, so you may not know that you have a problem even if you have been in the home for years. Radon testing can be done in a few different ways, all of which are affordable and painless. We offer options for real estate transactions, for new homeowners, for people looking for long term results, and for people who want to see their levels at all times. The shortest test you can have done can be completed in as little as 48 hours, and the longest can be set indefinitely, so you have options no matter how you want your results. The price for radon testing can be as little at $25, so there is no reason to not have your home in Whitefish Bay tested for radon gas. For more information on testing and to start the process, give us a call! We can explore using copper piping for the exterior pipe to match copper gutters. Some homes have copper downspout throughout the property and want us to match it with copper downspout. This is something that we can custom order for you. We can go through glass block windows if you prefer us not to core through the exterior on a historic property. Sometimes to vent the piping out without messing with the brick or stone exterior that has been there for hundreds of years we can remove a glass block from the basement window and run the pipe out that way. We can run the piping and fan through the garage (this is the most common customization) for aesthetic purposes. Garage systems if possible are the most popular systems we offer, because of aesthetics, life of the system, and price. We can run piping through a crawl space to access another part of the exterior that would be more preferable for the system to exit. Sometimes the way the basement is laid out, it’s more difficult to vent the system out in an area hidden from the road or into the garage. This commonly comes from having a crawl space that blocks that area. We can sometimes find a way to run the piping up from the floor, through the crawlspace and then out. We can put a black pipe on the top of the system where it exits to the garage roof. Some condos or homeowners associations have strict regulations about what can be seen from the exterior and we have found that some even require the pipe venting out from the garage to be black. This is something we can custom order for you to fix your condos needs. These are just a few things that we can do if you need us to (if it’s possible with your home). If you have a home that you feel is much more unique than most other homes in the state, give us a call and we can give you a free in-person estimate! We cannot place the radon fan in the basement or any living space. The only places the fan can be are the garage, the attic, or the exterior of the home. We cannot cut the radon vent pipe short on the exterior. The piping must extend 6-12 inches above the roofline, and 10 feet away from any windows. We cannot run the cord for the fan back through the joist to be plugged in indoors. This is against state electrical code and the EPA standards for radon mitigation. If you have questions about what can and cannot be done for radon mitigation, we are here and eager to help you with the process. Give us a call today!